Elevate is a special web series about the great things happening in Oklahoma public schools. Turning around a classroom isn’t easy, much less turning around an entire district. It takes courage, transparency and communication at every level, and simply by the nature of needing a turnaround it takes tremendous patience. Over the past year and a half, Anadarko Public Schools has implemented a bold, data-driven leadership program under the guidance of the University of Virginia (UVA) School Turnaround Program. Through an intensive series of boot camps and a top-down rethinking of how to approach leadership in a school setting, a formerly underperforming district is trending upward. Anadarko Public Schools Superintendent Cindy Hackney likes to say she doesn’t know what it’s like to run an “A” school because she has never worked in one with that label. She does, however, know what it takes to pull a school up. Her teachers do, too. 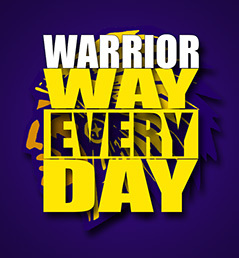 They call it the “Warrior way,” a reference to their mascot. On its state report card, Anadarko Middle School jumped from a D in 2013 to a C this year. The high school moved from a C+ to a B- in the same time span. “We’re starting to come on. It’s been through a lot of hard work, but we’re closer to where we want to be,” Hackney said. Anadarko was one of only a handful of districts in the state to show a drop in the number of students requiring remediation under the Achieving Classroom Excellence (ACE) Act. Compared to last year, 137 fewer students were flagged. The district has seen double-digit gains in key proficiency measurements over the past year. The rate of reading proficiency in grades three through eight climbed 10 points last year, and the rate in Algebra II rose by more than 30. These results provide a glimpse of how much change Anadarko has implemented. They reflect several years of reorganization in structure and thought inside the district, most recently driven by the UVA program. The UVA School Turnaround Program is operated by UVA’s Partnership for Leaders in Education (PLE), which uses the resources of UVA’s Darden School of Business and Curry School of Education to train leaders who are already working in schools. The Oklahoma State Department of Education (OSDE) has provided Administrative Leadership Grants to three state districts to test the PLE turnaround program here. Anadarko, El Reno and Guthrie Public Schools are the first in the state to participate. 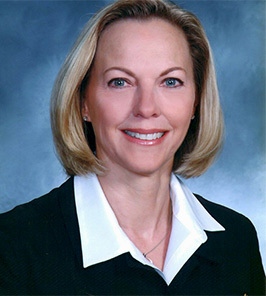 Hackney has been with Anadarko schools for over 30 years, but she had been superintendent for only a few months when she learned about the PLE program. She decided to give it a shot. After a visit from UVA representatives to assess the district’s readiness for change, the district began implementing it. The PLE program aims to lift up schools that have historically underachieved by focusing on leadership and school structure. Each district has a designated “shepherd” who oversees it on the local level. At Anadarko, Hackney fills that role. She already had placed instructional coaches in each school. The coaches support principals and teachers by offering walkthroughs of curriculum and giving feedback on instruction. Under PLE, the coaches help educators stay focused on data-driven action plans. Hackney also placed counselors at each site, providing teachers immediate assistance with things such as behavior issues. “Probably one of the most rewarding things for me … is seeing the results of a process that has caused us to think about how we work, and to see the people who still work here be part of the process and be proud of the district,” Hackney said. From Hackney to classroom teachers, everyone constantly reviews data, narrowing it down from school performance overall to individual student results. Schools create 90-day action plans aligned to district benchmarks, and teachers create their own classroom and individual student plans from that. Teachers learn to interpret student performance on benchmarks and other exams, going through results question-by-question to identify specific areas where a student is understanding or struggling. Each week they meet, using what they culled from the data to weigh how well their students are learning. “We’ve learned how to take the data that we have and analyze it down to the student level,” Hackney said. “We had pieces of all this (data), but they weren’t ever put together. This program helped us focus on bringing everything together … to where you’re using the [data] you have to go deeper,” Hackney said. A few times each year, participants travel to leadership meetings in different parts of the country for intensive lessons from UVA faculty and notable presenters. It’s at these meetings where educators talk corporate leadership. From sunrise to sunset, they review case studies of business failures and successes, analyzing how leadership and organizational structures in those situations can apply to schools. It’s the same type of learning CEOs of large corporations receive for continuing education. The number of people from each district who go to these “boot camps” increases each time. At first only the top program leaders from each district attend. The next time, they are accompanied by principals. At the third meeting, teachers from each of the district’s schools also travel. 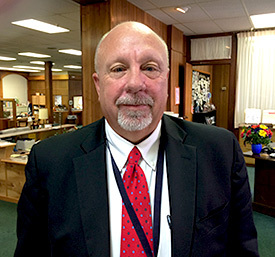 El Reno Public Schools superintendent Craig McVay has been to three meetings on the UVA campus in Virginia. “I tell people I’ve been to Charlottesville three times now, but I’ve never seen it in the daylight,” McVay said. The case studies gave his school leaders a completely new perspective to use, said McVay, in addition to what they glean from more typical professional development. The national meetings have also allowed them to network with faculty from a broad range of backgrounds. In El Reno, the UVA program has enhanced an already enthusiastic effort to improve performance, and the results are showing in every grade level, he said. As in Anadarko, the focus in El Reno is on how to read data to gain a comprehensive view of classrooms and the individual students in them. Every Friday, after school ends at 2 p.m., teachers stay late to go over that week’s results. On a daily basis, they review individual student achievement in detail and create action plans. “Our whole world revolves around a 90-day plan right now,” McVay said. But plans do little if there is no system to put them into action. In El Reno, the first step to creating that system was getting everyone in the district to acknowledge schools could improve, he said. The next step is getting everyone at every level, working together in a unified, highly communicative effort. “Really, it’s a total school buy-in to the fact that we need to know where our kids are academically every day,” he said. Hackney calls that creating a better system within the Anadarko district. They do business differently now in Anadarko schools than they did 10 years ago, she said, but it’s not radically different. The content is similar, although teaching methods are more interactive, and the data has almost always been available. Now, however, Anadarko educators have learned that by actively working together between classrooms, random measurements of student success can add up to a full picture. “You’ve got a system in place where every piece of an organization is in that wheel working together,” she said.